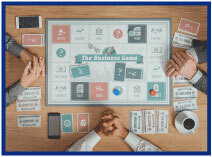 Often board games use some kind of money which means that someone has to fill the role of the banker and it seems that either several people want to be the banker or no one does. In a board game the banker's responsibility is just to make sure everyone gives and gets the right amount of money as the rules demand. In real life the demands on a bank and bankers are much more complicated: ever-changing federal and state regulations, handling employees (EPLI, theft, etc), loan servicing, trusts, property liability, electronic theft…the list goes on. Community Banks need coverages that can keep up with these diverse and changing responsibilities and Travelers® has been serving banks since 1890. It pays to be a member of Independent Insurance Agents & Brokers of America, and we're proud to bring you another opportunity to save. Save up to 34%1, plus 50%1 off select services for up to four weeks after you enroll in the UPS® Savings Program. And, if you're a new UPS customer, you can receive a $25 Visa gift card2 just by enrolling and sending three qualifying air shipments or one qualifying international shipment on your account before October 31, 2015. UPS has the solutions, services and know-how to help you get it done. 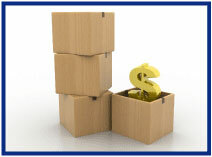 To enroll, visit www.savewithups.com/iiaba or call 1-800-MEMBERS (1-800-636-2377), M-F, 8 a.m. - 6 p.m. EST. 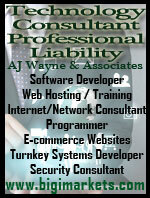 1Click here for specific services and discounts. 2Click here for terms and conditions of the gift card offer. Most real estate agents are willing to go the extra mile for their absent clients, which sometimes means coordinating non-traditional projects which could be as simple as lawn care to more complicated items like replacing the water heater or furnace. Real estate agents that routinely work with bank-owned properties are usually equipped to handle these, but an agent who does so occasionally needs to be careful about what the scope of his or her duties really entail. 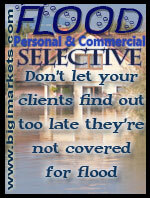 Simply offering to "check on" the property occasionally leaves a lot of room for an exposure. How often and what will be checked should be worked out ahead of time. A once-a-week drive by isn't likely to reveal a failed sump pump, faulty furnace, or spot evidence of a break-in all of which could only get worse the longer undiscovered. Water damage only increases the longer it goes on including mold & mildew. A faulty furnace can allow the temperature to drop below freezing increasing the risk of ruptured pipes, or leak natural gas which can cause catastrophic damage if it explodes. Given enough time thieves can strip a house of not only left behind possessions but also plumbing and wiring which may or may not be covered depending on whether it is considered vandalism (which is covered) or theft (which is not). Additionally the thieves may not take the time to shut off the water, flooding the house or care if they steal or just damage gas lines resulting in an explosion. Travelers® offers an article that you may share with your real estate agent clients to make them aware of the risks and how to avoid unnecessary exposure. 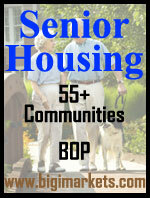 To help you persuade prospects, download this flyer with eye-opening claims scenarios. Travelers Real Estate Agents / Property Manager E&O provides professional liability protection for claims or suits resulting from real estate agent or broker professional services. Coverage is available in all states with the exception of CA, HI, and LA and is written on admitted paper. 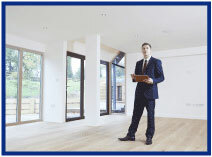 Log in to Big "I" Markets at www.bigimarkets.com and click on Real Estate Agents and Property Manager E&O to learn more or to request a quote. True crane and rigging catastrophes are infrequent but the exposure is common. The collapse in Cairo where over 100 were killed is the worst in recent memory. Above are two others from state-side but countless accidents happen daily (see www.craneaccidents.com). Congrats to our agent in Florida on a personal valuable articles sale of $2,776 in premium!